I've finally got round to drinking a bottle from the new batch Courage Russian Imperial Stout which I wrote about here. I now get what Cyril Ray meant in the sixties when he wrote that "the beer frothed creamily into the glass, dark and rich...smelled like burgundy and drank like liquid silk." As well as that silky mouthfeel and the alcoholic warmth you'd expect from a beer with an ABV of ten per cent, Russian Imperial Stout has a complex range of flavours: among those I picked up were burnt cork, fruit, chocolate and dates. I think I'll buy a few more bottles to see how those flavours mature with age. Assuming Parliament approves the measure passed by the synod of the Church of England yesterday, a female Anglican bishop should be appointed some time next summer at the end of a battle that has taken up almost half the twenty years since the first women were ordained. I wonder which Prime Minister will chose her, the nominal Anglican David Cameron or the Jewish atheist Ed Miliband? The Church of England must surely be the only religious institution in the world whose leaders are picked by people who aren't themselves members of it, like the last Prime Minister, the Scottish Presbyterian Gordon Brown. Margaret Thatcher – a Nonconformist turned Anglican – was apparently the most interventionist Prime Minister in episcopal matters, once rejecting both names on the shortlist sent to her by the Church, while Winston Churchill was so uninterested that he let his Parliamentary Private Secretary, the Irish Catholic Brendan Bracken, pick them for him. I tried Indulgence, the new seasonal beer from Stockport brewery Robinson's, for the first time yesterday. 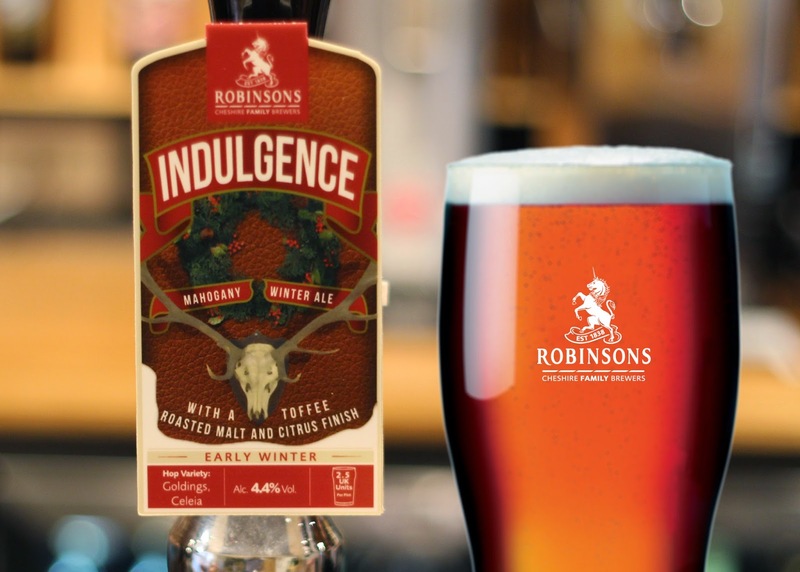 Robinson's describe Indulgence as a winter warmer which made me think it would be brown, malty, sweet and strong. It's not really any of those things but it's still a great beer. It's a darkish amber colour and has got a very clean, crisp taste, mouthfeel and finish with a nice balance between the malt and hops. It reminded me a lot of the Altbier you get in Düsseldorf. If you're anywhere near a Robinson's pub this winter, I recommend trying it.